And the fabulous Anya from Couture Millinery Atelier recently wrote a post with pictures of what is currently on her inspiration board. 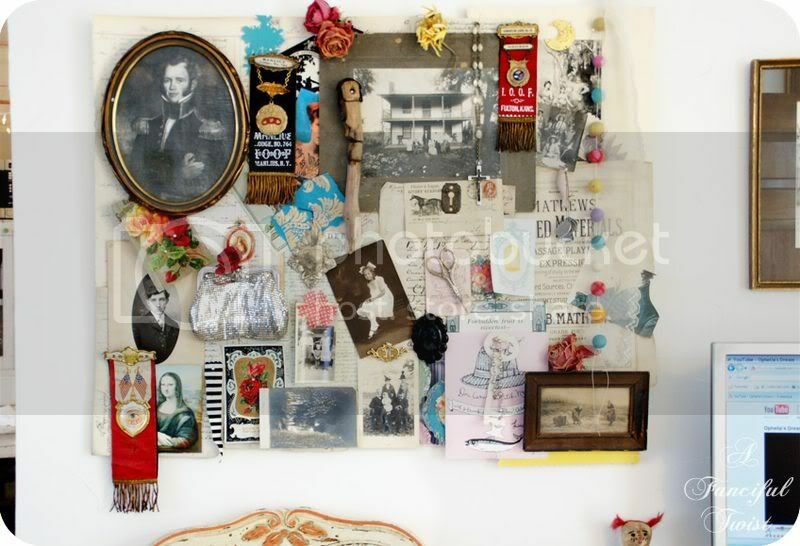 Check out her post My Inspiration Board for 2010. Such a great idea! Thanks for sharing these, Maggi! Hope you're having a wonderful weekend with your sweet family! They are all so fab! Love the Anything Goes board. Curious about your next swap, wonder what you are up to Sweet Maggi????? I need to take a pic of mine. I just made one too!! :) deep down heart felt thanks! hugs to Toots too !! Oh, I'd love to make one of THESE!!! 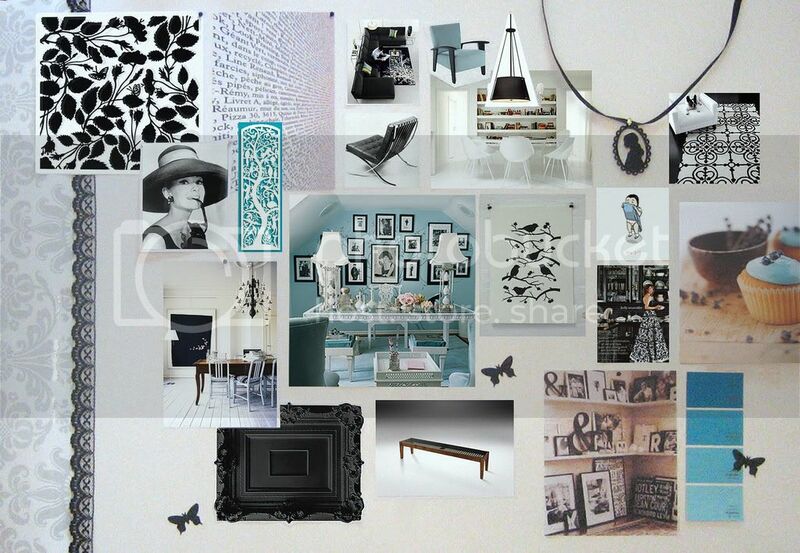 Beautiful inspiration boards! I have more of an inspiration table, which features butterflies, dragonflies, an Alice in Wonderland teapot handpainted by Dame Darcy, artwork, felted bowls, and a photo of Joanna Newsom (new CD on Tuesday~Hurray!). Love those, Maggi! What a great concept for getting inspired....I need that! i love these mood boards. Am not good making them or say there's really no direction. hahahaha. am a scattered brain. This is a wonderful idea. 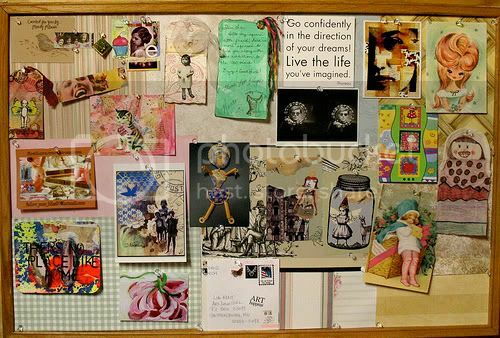 Maggi darling I never had an inspiration board, but looking at all these boards I am tempted to star my own…I will let you know if I do. In the meantime, have a lovely week luv. Looking forward to the swap since I missed the Alice in Wonderland!!!!!!!!!!! Stopping by from SITS to say Hi! I am adding you so I can come back & read more! wow! these are great boards! the 1st board is awesome! I just spray painted my board blue a few weeks ago... its still in the garage "drying"... LOL! Great boards - and have a great week too! Thanks for yr lovely comment! First of all, what is your definition of groovy? 2nd of all,...who know's, I must of lost my train of thought! Happy happies. Inspiration boards are such powerful things and so much fun to make. thanks for stopping by my blog and helping make my SITS day so wonderful!